Kind of event: Meeting of experts on access services with the objective to raise the most important questions during a plenary session. 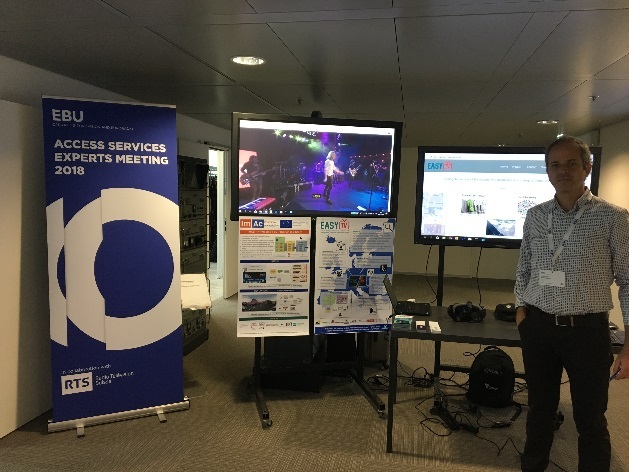 Every year, the European Union of Broadcasting (UER - EBU) organizes a meeting of experts on access services. The objective is to raise the most important questions during a plenary session that has become, over the years, the best meeting point for those who work in accessibility services through member organizations of the EBU . This event, which took place on November 9th and was attended by more than 85 participants (access services experts), is a great opportunity to meet other professionals who work on accessibility and share projects, exchange best practices, points of view and innovative proposals. 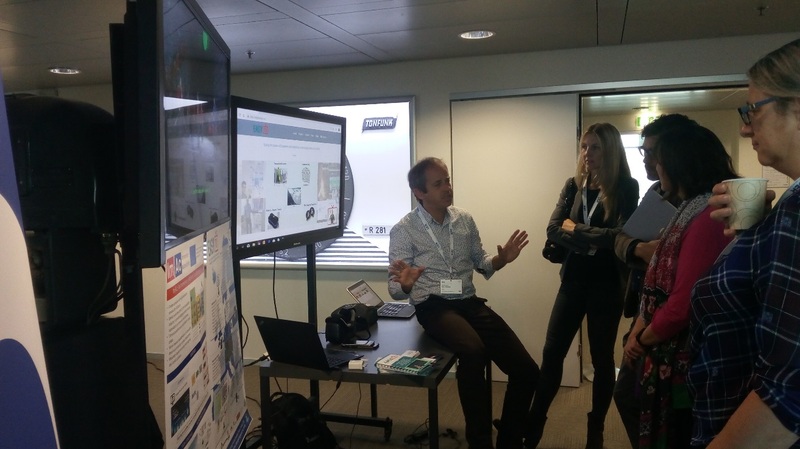 This year, Francesc Mas, project manager of Engineering, Research and Innovation of the CCMA, presented the advances of the European project EasyTV through a demonstration stand where users could experiment with the tasks and first results carried out within the EasyTV project, which will increase and improve the automated production of accessible content. 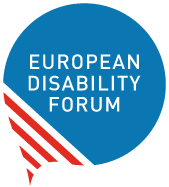 On 16 November, the European Disability Forum (EDF) and Österreichischer Behindertenrat hosted and event on “Using Artificial Intelligence to enhance accessibility - Opportunities and risks of emerging technologies for persons with disabilities”. The aim was to fully explore the potential of emerging technologies. It focused on technologies such as Artificial Intelligence and aimed to debate and promote a universal design approach in their development, supporting enhanced accessibility for persons with disabilities. Pilar Orero (UAB) presented EasyTV Project as an example of personalization and how AI could go beyond when designing interaction to TV content. At the end of the event input was collected from the more than 100 participants towards a new report on emerging technologies describing the opportunities, challenges and risks that these new technologies may entail for persons with disabilities, in which several ICT players have contributed with interviews. 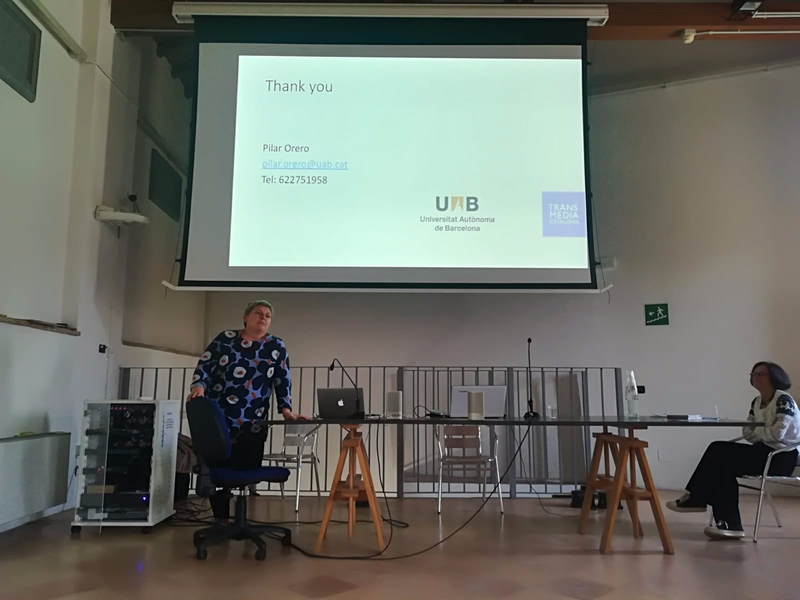 Summary of the participation: Last Friday 19th October EasyTv was presented in the I Giornata d'Audiodescrizione organised by the Università Degli Studi di Parma, Italy. The Conference was attended by over 60 people from all universities across Italy. ITU is the United Nations specialized agency for information and communication technologies – ICTs. ITU allocates global radio spectrum and satellite orbits, develop the technical standards that ensure networks and technologies seamlessly interconnect, and strive to improve access to ICTs to underserved communities worldwide. ITU is committed to connecting all the people around the world– wherever they live and whatever their means. Through their work, ITU protects and supports everyone's fundamental right to com ITU is an organization based on public-private partnership since its inception. ITU currently has a membership of 193 countries and almost 800 private-sector entities and academic institutions. ITU is headquartered in Geneva, Switzerland. Pilar Orero (UAB) and Francesc Mas (CCMA) presented the new advances achieved since last meeting in EasyTV project, focused on innovation, adaptation and improvement of the processes of production and distribution of accessibility services in the new environments of digital consumption. At the same time the presentation also showed the future steps of EasyTV project which will allow the creation and recommendation of new standards in the area of audiovisual accessibility, from production to distribution and consumption, and the elimination of barriers to access content thanks to the introduction of collaborative work techniques. Outreach: About 40 broadcast professionals from several Arab States. On Thursday, October 10, Francesc Mas, project manager of the Research and Innovation Engineering of the CCMA, participated in the technological conferences organized within the framework of the ASBU EBU Week of Technology to present the new challenges in accessibility to the audiovisual content in which the CCMA works. The conferences took place at the premises of the Arabian States Broadcasting Union (ASBU) in Tunis. In his speech, Francesc Mas presented the various projects that have allowed the CCMA to have a recognized system of production, management and dissemination of accessibility services, such as subtitling and audiodescription. He also summarized the existing recommendations and guidelines that allow to offer content of accessibility of quality without the cost being increased. In the same session, Mas showed the works carried out within the EasyTV project, which will allow the automated production of accessible content to increase . Accessibility is an indisputable right for everyone that allows audiovisual content of the media to be available to all citizens, regardless of their sensory capacities. With this objective, Arab States, through the Arabian States Broadcasting Union (ASBU) and in collaboration with the European Broadcasting Union (EBU-UER), have initiated a project to introduce accessibility services to all its public television channels.